The UDI U835 Kestrel is the new version of the older UDI U28 quadcopter. It is a unique all-in-one FPV package that comes with a 4″ monitor built into the remote transmitter. The Kestrel has some nice features not typically found on similar drones. Take a look at the UDI U835 Kestrel. The UDI U835 Kestrel was built to be a beginner FPV drone. You can view the live feed right on the built-in monitor on the remote. Very few drones have this capability. Many rely on WiFi FPV and a connection to your smartphone. The UDI U835 Kestrel relies on a 5.8 GHz instead of a WiFi connection, which is superior in a handful of ways. Flying a drone FPV is an awesome experience and really takes piloting a drone to the next level. What is FPV, or First Person View? That is when you pilot the drone while watching a live feed from the camera on a monitor or goggles. That is how the drone racers fly when racing on the DRL (Drone Racing League) Circuit. Typically a 5.8 GHz has a better range and is less susceptible to interference than a normal WiFi signal. Sometimes WiFi signals actually interfere with the signal coming from the remote transmitter that controls the drone and that can make your drone behave in ways you don’t want it to. WiFi setups also take time to set up and get going. The 5.8 GHz FPV signal on the Kestrel works right away. You can even later purchase FPV goggles and use that with your Kestrel drone. FPV goggles take the experience to a whole new level. It is a very rare thing to be able to add FPV goggles to a small drone like this. 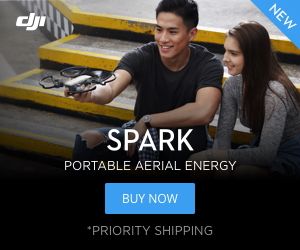 Goggles are normally reserved for racing drones or high-end drones from DJI. There is a WiFi FPV version of this drone, the UDI U28W. Obviously, we recommend the new U835 version. I can’t stress enough how quick and easy it was to get this guy in the air – much easier than connecting to a phone. The VR-007 is on the left and the EV800 is on the right. Both are solid FPV goggles. The UDI U835 Kestrel is a fun drone to fly using normal line of sight, but because of the 5.8 GHz FPV feed it is a blast to fly by watching the live stream on your phone. After you get the hang of it you’ll want to pick up some FPV goggles. The UDI U835 Kestrel has some other nice features. We’ve already covered the 5.8 GHz FPV live video stream. The camera on the U835 is 720p HD quality. The 120° field of view from the camera is nice and wide to help aid flying FPV. Unlike the popular Hubsan H107D drone, the field of view on the Kestrel is actually wide enough to fly FPV. We measure the horizontal field of view on the Kestrel to be twice exactly twice as wide as the Hubsan, which is perfect for navigating using the screen alone. You can record pictures and videos of your flights on the included SD card. Force1 does a nice job of including little things like extra batteries and SD cards. The UDI U835 Kestrel is pretty quick and nimble, which is ideal for flying FPV. It also has altitude hold which helps make it more stable. While the stability isn’t on par with some aerial photography drones, it still makes the drone easier to fly than most beginner quads that do not have altitude hold. It also has headless mode, multiple speed modes and can flip and roll with the push of a button. The yaw speed on the Kestrel is pretty slow. This makes for some of the smoothest video we have ever captured on a drone this size. As I just mentioned, the yaw on the Kestrel is pretty slow, making for smooth video capture. The disadvantage is that it can be a little difficult to maneuver in tight spaces or if you are flying fast. The other quirk with this drone is the bouncy legs. Good luck landing this quad upright. This is not a major issue, but we will probably be taking the legs off of ours and putting small feet under each motor so that the Kestrel sits flat on the ground. Overall, the UDI U835 is a nice all-in-one beginner FPV package. There are very few options out there with remotes that have built-in FPV monitors in the remote, and the Kestrel is arguably the best choice in this category. The 5.8 GHz FPV signal has low lag and the camera provides a very rare wide field of view that allows pilots to enjoy FPV flight. This might be our top pick for beginners to get started indoors with FPV flight. Take a look at the UDI U825 Kestrel from above. You’ll get the Q90C, FPV goggles and a remote transmitter. If you are looking at other all-in-one FPV options for a beginner then take a look at the Eachine Q90C and Eachine E013. Both of these quadcopters are good beginner FPV drones that come with everything you need, including FPV goggles. The Q90C is a step up in terms of speed and agility from the UDI U835 Kestrel. The E013 is a little smaller and a better FPV solution if you plan on learning how to fly indoors. 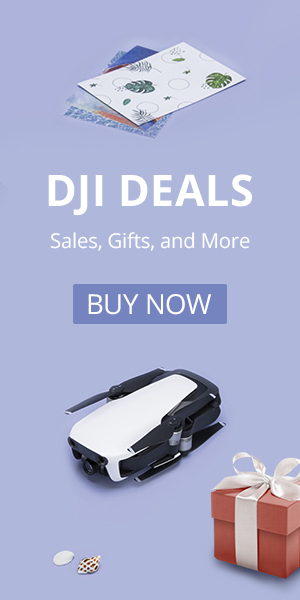 Neither of these alternatives comes with altitude hold and neither will record the same quality of video as the Kestrel, but if you are interested in getting an experience closer to a racing drone, then the Eachine Q90C and Eachine E013 are great choices. The included goggles and metal sticks on the remote are a nice touch with the E013.